We provide armed and unarmed officers for a wide range of industries and clients. 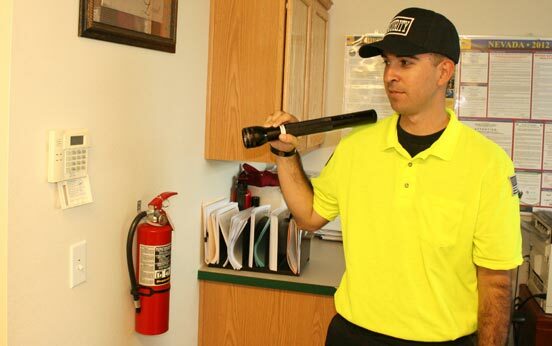 Whether you need an on-site officer or a marked patrol vehicle to protect your property against crime, Rome Security Services in Las Vegas is the company to call. We have developed a team of highly trained guards - who can be trusted and relied upon for any job. We specialize in providing armed and unarmed security for commercial, residential, special events, and more. Our officers patrol your site to ensure that criminal violations and breaches are duly noted and appropriate action is taken. When you need assets, people or property protected we can help. Rome Security in Las Vegas offers uniformed security guards for any function. We specialize in special events, convention security, construction site security, bodyguards, personal protection and even commercial security for your place of business. Call today for a free consultation and a free quote! Rome Security will be there 24 hours a day, 7 days a week for any emergency you may have. Break ins and criminal activity happen all the time in the middle of the night. If you have a situation come up and you need our emergency services, please call us right away. Thugs don't sleep, and neither do we! 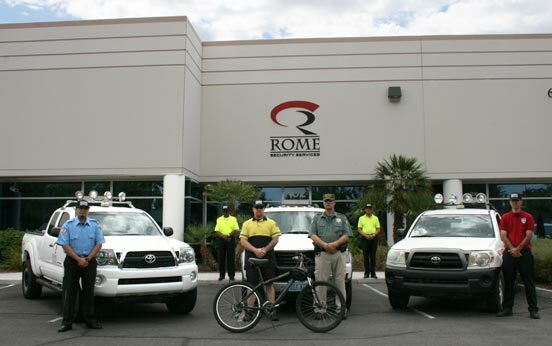 For all of your Las Vegas security needs, trust the professionals at Rome Security Services. Call us to get a quote today! For the best security service in all of Las Vegas, there is no other security company that is quite like Rome Security Services. We hire guards that meet the highest level of security standards so that you can be confident knowing you are hiring only the most qualified security specialists. The protection of your personnel and property is our #1 priority. That is why we provide you with state-of-the-art technology and equipment, skilled and trained personnel, and a wide array of solutions to meet all of your requirements. We have an exceptional performance record serving many clients from diverse industries. No matter the location, type, or size of site, we provide you with superior on-site security services and protection. From budget, to staffing, to execution, we work closely with you to develop a plan that will accommodate your unique needs. We offer a wide range of security guards to fit a variety of needs. Our guards place the utmost importance on making sure your valuables are truly protected. We train our staff for many different specialties: bike patrol, vehicle patrol, armed and unarmed guards, roving patrol guards, and much more. If you want the best security company in Las Vegas, contact the specialists at Rome Security Services. Please contact us for a no-obligation assessment of your needs and to get a free quote for our services.